The entrepreneurs I work with every day, constantly surprise and inspire me. A client I am mentoring to build her blog and grow her influence wrote ‘blog school’ in her diary for our next appointment. “I think I’ll steal that!” I confessed. 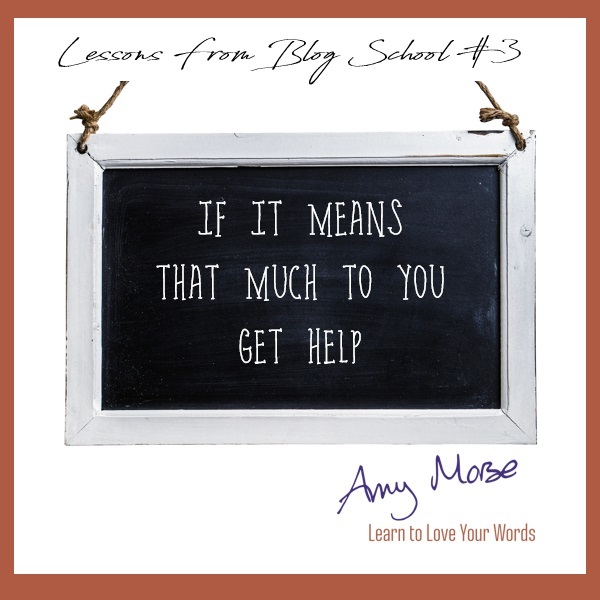 I’ve learned so many lessons (at least 44, in fact) through building my business around my blogs. I now have three blogs; this one, an author blog and a just-for-fun travel blog. If you are the heart of your business, people want to hear from you, not someone pretending to be you! Stay close to your business. Be true to it. 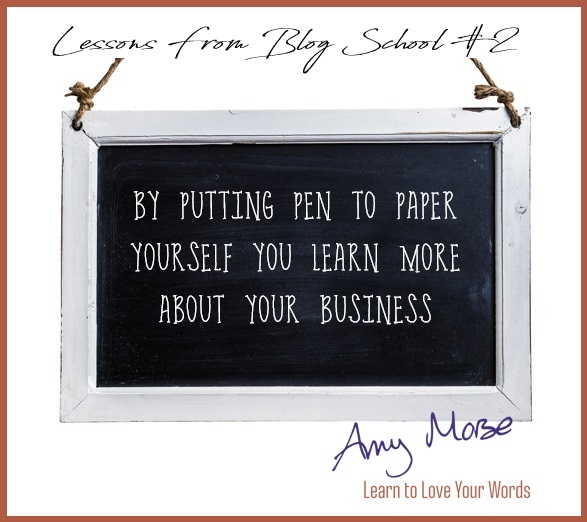 Every time you write something for your business you’re learning more and more about your style, your voice, your skills and what really what makes your customers tick. Just because you work for yourself doesn’t mean you have to have all the answers! When you are your business the most meaningful and worthwhile investment you can make in the business is to invest in your own continuous professional development. If being able to express yourself, articulate your message and educate your audience is important to the health of your business, get help! 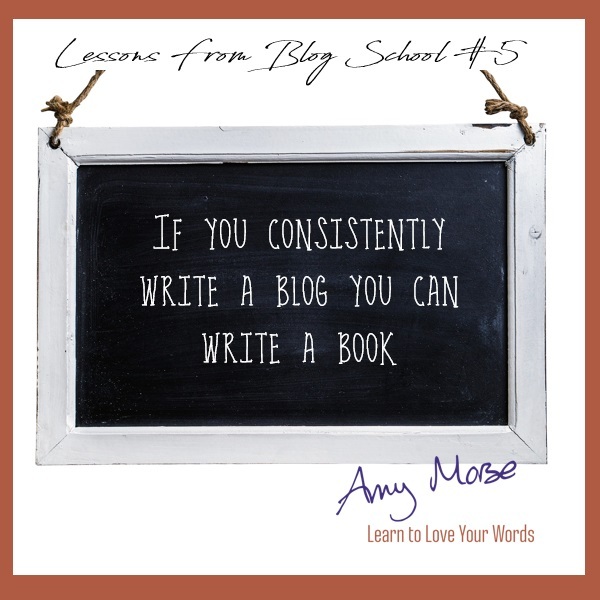 #5 – If you consistently write a blog you can write a book. I’m often asked, “How do you write a book?” The simple answer is ‘one word at a time’. Writing a book is a marathon, not a sprint. 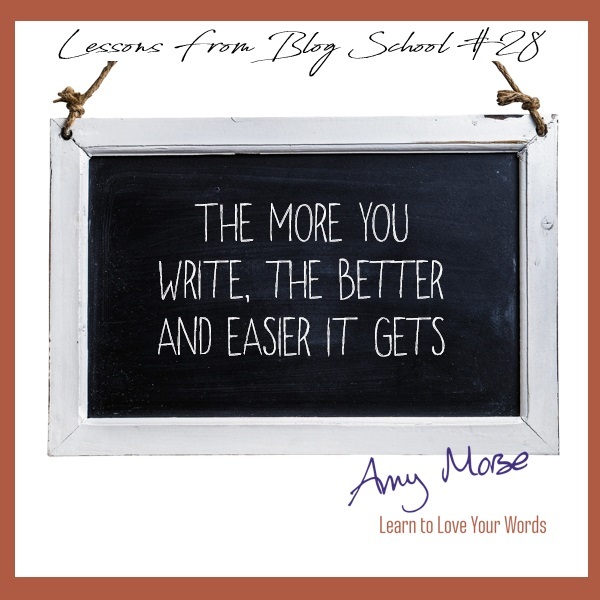 If you’re not used to writing a large volume of words, writing an entire book is a tall order! 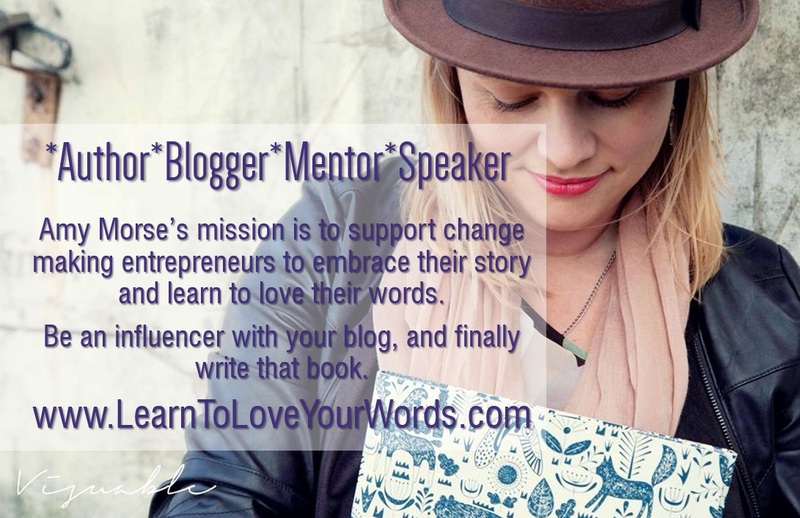 Blogging is a great training ground for your dreams to write a book. It gets you into healthy writing habits, helps you iron out the kinks in your style, learn your writing rhythms and discover your voice… plus, you already have material you can re-purpose into that book so it reduces the workload of writing a whole book! 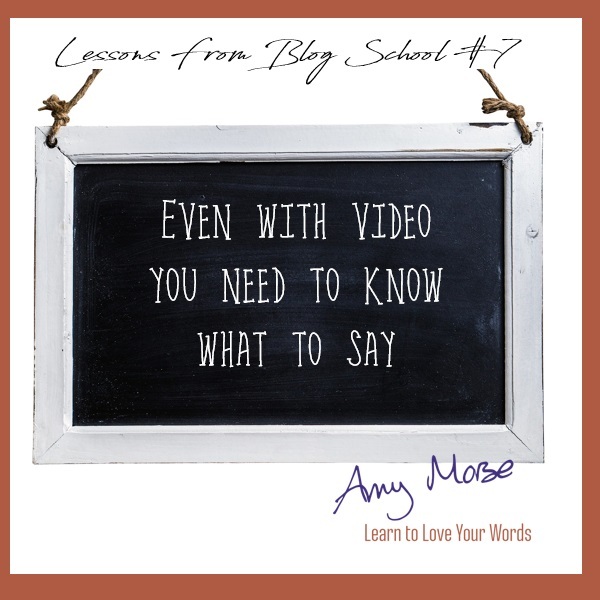 #7 – Even with video you need to know what to say. Video is just another tool to share your story and your lessons learned, it’s not ‘instead of writing’! Make your plan then make your video and use all the characters available to describe the contents of the video when you share it online so it has the best chance of being found and watched. As with anything, the more you avoid doing it the less confident you feel about it. Just getting on with it and starting to write is a great confidence boost. And when you realise that your writing isn’t as bad as you think and people are resonating with it, that’s an extra boost. Confidence is so important when you work for yourself. If you have confidence in yourself and what you do, it instils confidence in others. 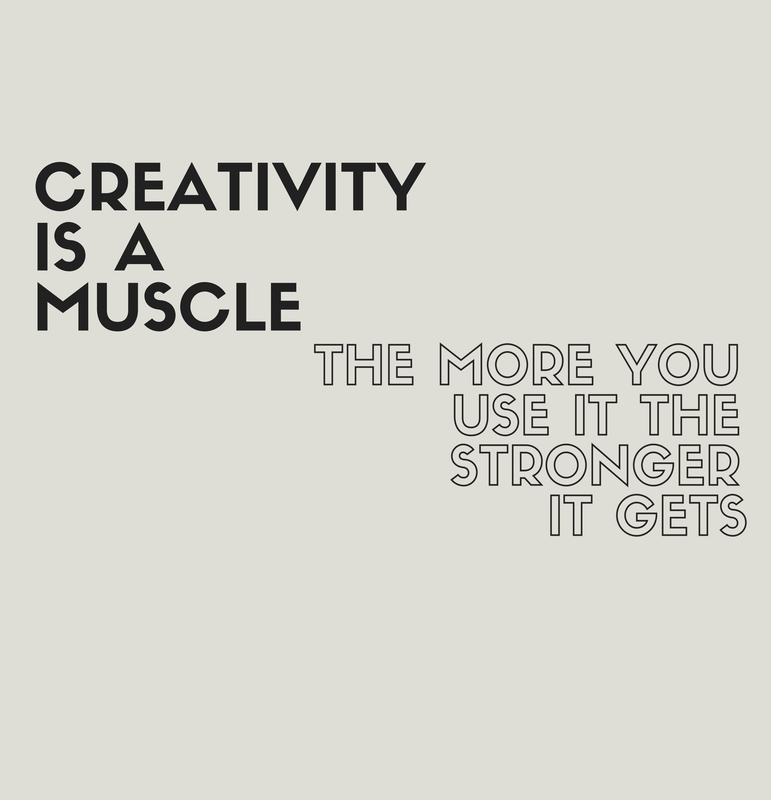 As with anything, the more you do something the more you will improve. 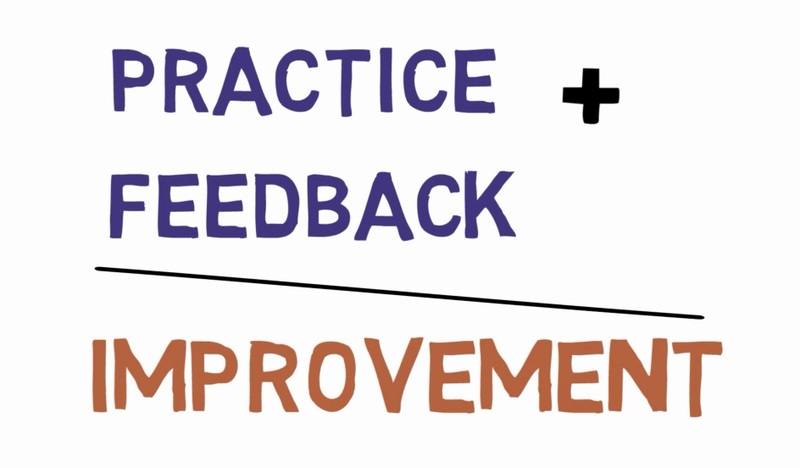 But there is more to improvement than practice alone. There is only so much you can learn alone, you need feedback, you need input from others. 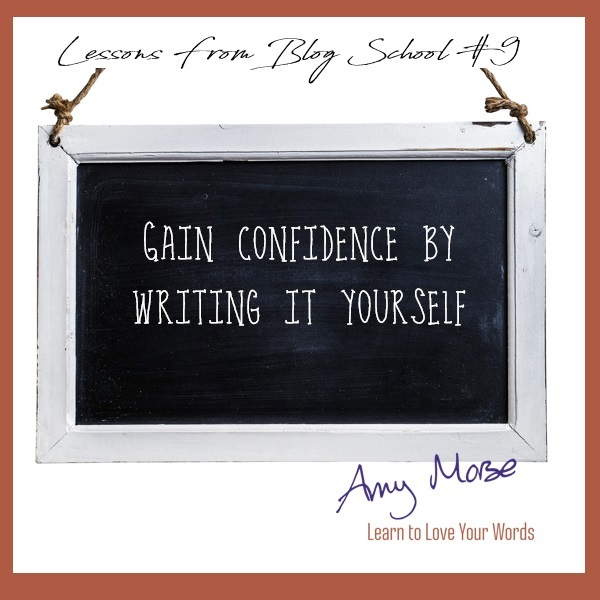 The more regularly you write, the easier it will flow because your confidence will increase. Up your blogging game by making the most of the tools in WordPress.